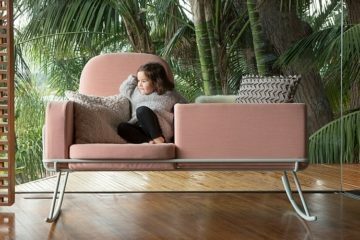 Looking for a lounge chair your guests can actually work in? Try the unusually-sculptured L@p Chair, an eyecatching single-seater that comes with sweeping lines and a utilitarian desk for hoisting laptops onto. 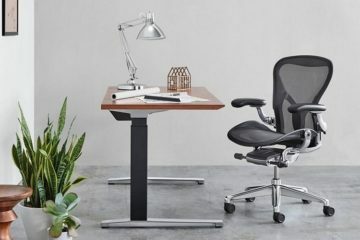 Shaped like a quote (or maybe an apostrophe), it comes as a single unified piece, with a comfortable backrest and ample tablespace along the left hand side. 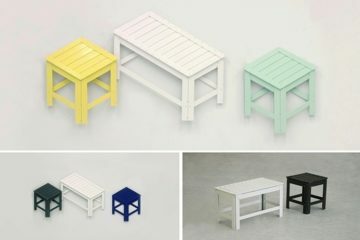 It actually looks like it was based off of those classroom chairs with an attached armrest and a table. 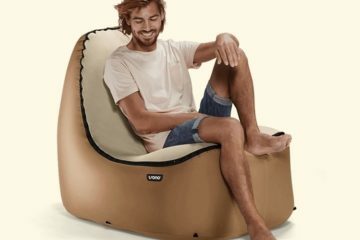 Ergonomically, it appears a tad suspicious, looking like it’s bound to give you an uncomfortable time, though I’ll reserve my judgment till I actually sit in one. To manage the unusual shape, the L@p Chair uses a sculpted metal frame, reinforced with poly-urethane foam decked in wads of fiber to provide a firm, comfortable surface. The seats stand on a revolving base, finished in either steel satin or chrome. Rossin says it can work well with various types of upholstery, including elastic fabrics, microfiber and leather. 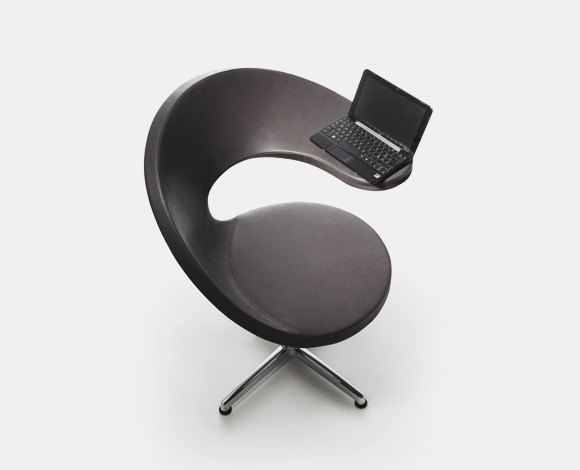 Designed by Martin Ballendat for Italian furniture makers Rossin, it seems intended to use as a substitute office chair, although I can’t really imagine it in a workstation. On an airport or a hotel lounge, however, this looks like a perfect laptop lounger – more private than a bar and less cumbersome than putting the computer on your lap. Plus, you won’t toast your family jewels with radiation and heat, if you believe in that stuff. There’s no word on availability or price. Since it’s already on the manufacturer’s site, though, I’m assuming this can be ordered bespoke or, at the least, scheduled for availability soon. 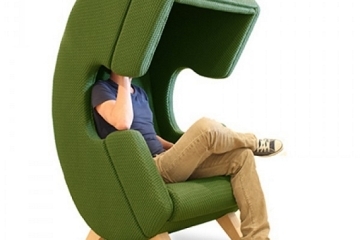 Coolest laptop chair i have ever seen. I wonder how much it costs ? It looks cool but I’m not sure about how comfortable it will be. Judging from the picture, I think you would require to twist yourself a little to the side to work on the laptop. It’s a crime that designers can waste natural resources on this sort of dysfunctional junk. It offers inadequate back support and barely fits a netbook, let alone a true laptop.